This 10 piece tieback set is suitable for use with our standard curtains for a Bay window or T25 / T3 van. They are approx 10" long but can be cut to suit. They are hand finished in a marbled effect brown vinyl with a stainless press stud to one end, they are supplied with the opposing screw stud for fitting to your campervan. 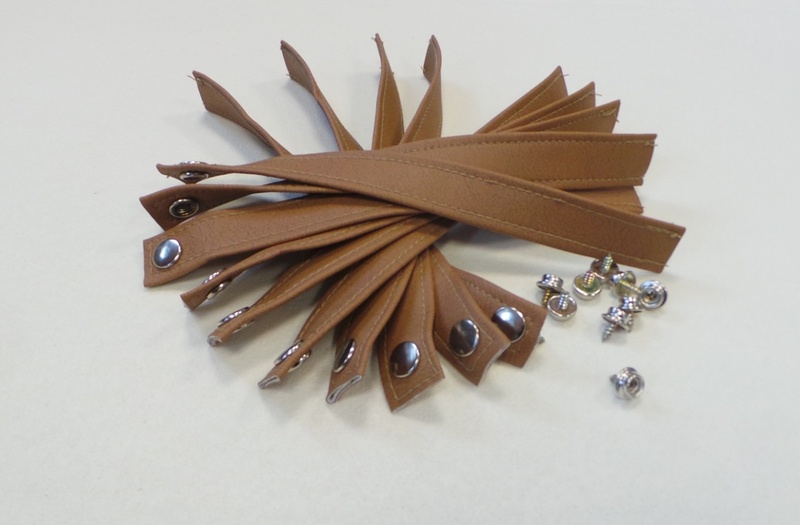 Keep your curtains looking neat and tidy with Madmatz leatherette tiebacks, nicely hand finished on our premises in a style very similar to the original Devon tiebacks . They are smart and durable.